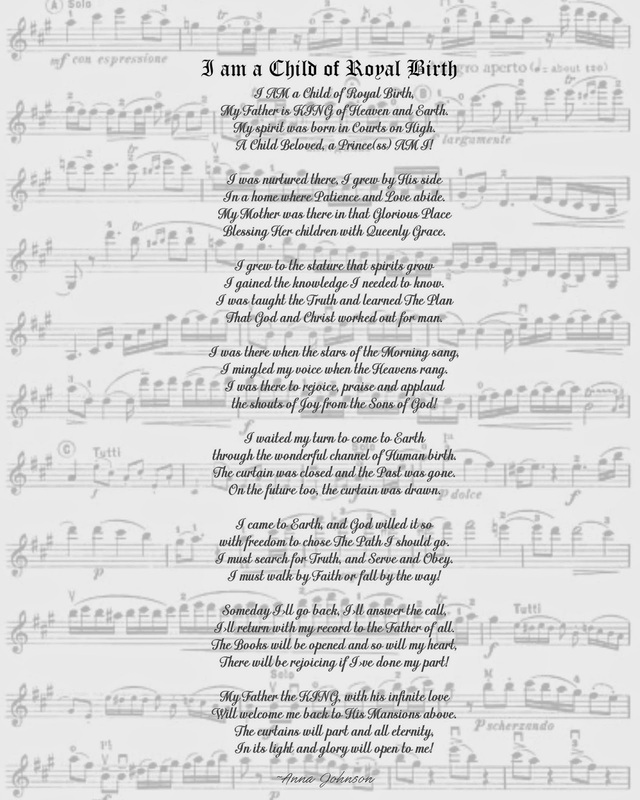 I copied the words over an image of sheet music. This will be hanging above our bed (you'll see why in a future post) and possibly around the house in various sizes and frames. If you would like to print a copy, just click on the image and then print in the new window so you never forget that no matter what happens, we are children of God with a divine purpose. This is so good Michelle. I have always told my kids that God defines them, not what others say, not what they do or don't do, God only tells them who they are--loved and children of the most High God, created, wanted. I have told them activities can be taken from them in a moment, but that doesn't define them.